MES Girls on the Run Spring Season! 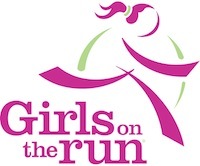 This non-competitive program inspires girls to be joyful, healthy and confident using a fun, experience-based curriculum which creatively integrates running. For more information about this character-building after school program, click here https://www.gotrcincinnati.org/Our-Programs Online lottery registration opens on Jan 29 and closes on Feb 7. Registration is on a LOTTERY system, not first-come, first-served. Families will be notified of their placement on Feb 10. Sliding scale registration fees range from $10 to $160, with payment plans and scholarships available.